Crown Security is known for home security systems for Perth. A home CCTV system can be as simple as a video camera link to your intercom system so that you can screen visitors before opening the door, or multiple cameras around the home for 360 degree security. 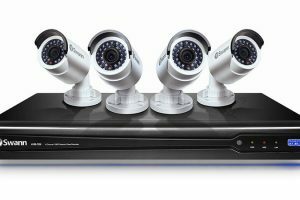 We offer both wired and wireless security camera options for Perth homes. We’re 100% committed to providing each customer with a home security system that meets their requirements, and only use the best products. To make sure your system is always operational, we offer ongoing servicing and maintenance for home security systems. 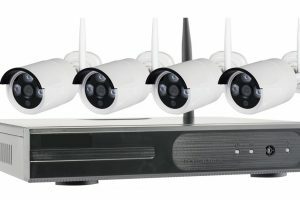 Many systems will enable you to connect your cameras to digital video recorders to allow the system to record 24 hours a day onto large hard drives. You can even setup the recordings to be motioned triggers. One of the coolest features available to you is live security camera monitoring from your computer, smart phone or mobile device. This is especially handy when you go on holiday and want alerts when somebody enter your property. If you’re interested in securing your home, think Crown Integrated Systems for home security systems. 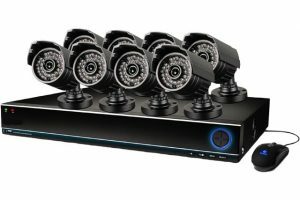 We offer an impressive range of top-end home CCTV solutions ensuring you get the right system that keeps unwanted guests out & products high resolution images day and night. Need a CCTV system installed yesterday? We know the importance of getting a system installed quickly to keep your home safe. We provide creative solutions to satisfy any budgetary limitations you may have. We want to ensure you get the most out of your home CCTV system so we’ll provide after sales technical support. We’re able to manage an entire project or integrate seamlessly with other contractors. Our relationship with Crown Security started in April 2014, when a modern alarm system was installed at our home. From studying our home layout to the quotation, installation and maintenance, the staff have been very professional, friendly and admirable experts in their field. The supersensitive sensors were occasionally triggered by the wind and Crown staff dutifully came and tune down the sensitivity. Few months ago, we stepped up the security at home with the installation of CCTV. With the advice of Doug, a new system in the market with discount was recommended. Since the installation, we have been able to proudly monitor our home from anywhere in the world, provided there is internet connection. When the old modem router for the wi-fi became faulty, Doug recommended a new one and he dutifully came and reconnected the CCTV to the new modem router. Calling the office staff or Doug for appointments has never been a problem. We consider ourselves as esteemed clients as last week, Steve made sure that our service call was attended to sooner than later. We are grateful and thank Crown Security for the services that we have been receiving from them since April 2014. Without hesitation, we recommend Crown Security to anybody that is interested in the latest technology for home and office security.